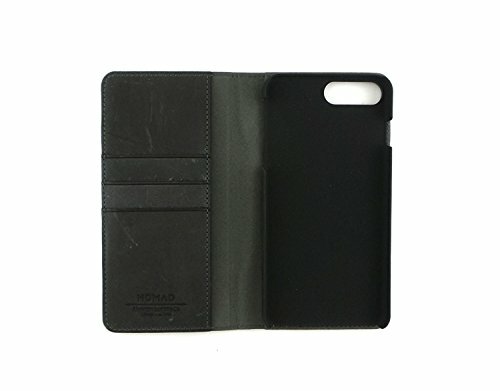 Keep your cash safely with your iPhone with this Nomad leather folio case, featuring slots to carry up to six cards. The fold-over case keeps your phone's screen free from scratches while offering the bold look of rich black leather. Compatible openings on this Nomad leather folio case offer easy access to all your phone's functions.